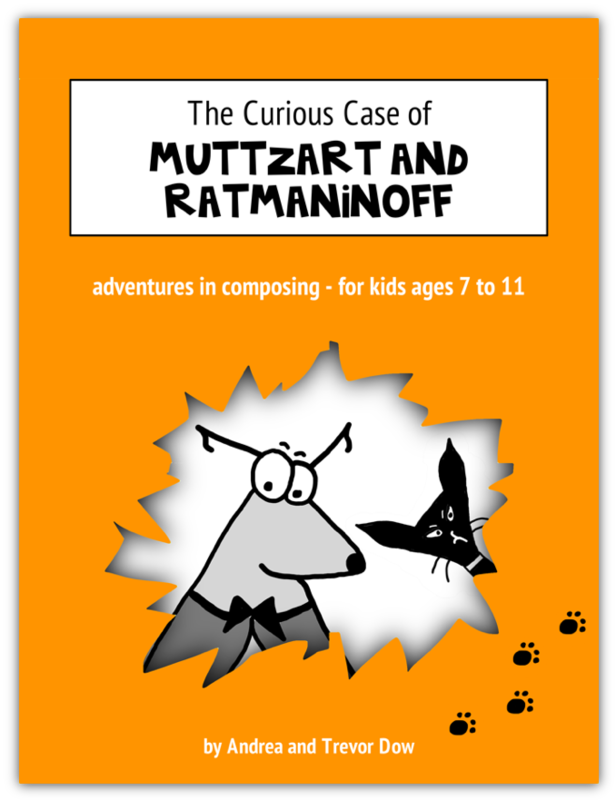 The Curious Case of Muttzart and Ratmaninoff takes the “how?” out of teaching composing to kids. When Isabella’s composing notebook is destroyed all fingers (and paws) point to Muttzart. But was he framed? This e-book provides teachers with 12 weeks of composing instruction wrapped up in a seriously engaging format. Your students will laugh out loud as they work to complete the torn pages of the composing book. This exciting adventure teaches piano students the building blocks of composing by having them create their own music right from day one. By the end of the book your students will be composing pieces of their very own! All of this is delivered instantly in a downloadable eBook with a license to print unlimited copies for your personal students in your private studio! The Curious Case of Muttzart and Ratmaninoff is a product of Teach Music Today Learning Solutions, the Creators of WunderKeys.